Good afternoon, THE WORLD ENDS WITH YOU fans far and wide! As you're probably aware, the 5th anniversary live concert will be taking place in Shibuya at O-WEST on November 26th! Composer Takeharu Ishimoto, the mastermind behind the fantastic music in the series, has been updating his blog with the brilliant cast since October 27th. It's only fitting that, with the reveal of the band name that we formally introduce you to the individuals behind the music! For those of you familiar with The World Ends With You, you probably recognize the name they've chosen for their band, no? "The Death March", more commonly known as Def Märch from the English localization, is the name of a very popular and unique band in Shibuya! What's so unique about them? Why, out of the four members in the group, three of them are Reapers! Led by the lead singer 777, he, BJ and Tenho tear up the streets, capturing the hearts of many with their wild tunes, with Futoshi wrapping up the group as their handy-dandy technician. While the musicians in the real life Death March won't actually be putting up barrier walls to prevent you from reaching your destination without fulfilling some ridiculous request like trekking through the streets in Natural Puppy attire or siccing ferocious Noise after you to cause erasure, you shouldn't take them too lightly! You'll never know what they have up their sleeves! Thanks to Zephyr for various translations! 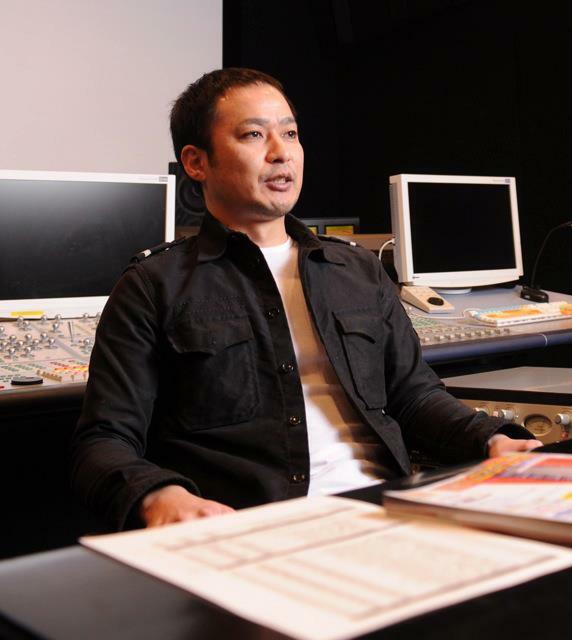 First off is, of course the Composer himself, Takeharu Ishimoto! When he's not overseeing the Reaper's Game, he's busting out some rocking tunes! Joining Square Enix (Square Soft at the time) in 1999 as a synthesizer programmer for the LEGEND OF MANA and then composing for World Fantastista (believe it or not, was a soccer game), his first project in the company, he embraced his passion for music due to there being few options for him in the country where he lived. 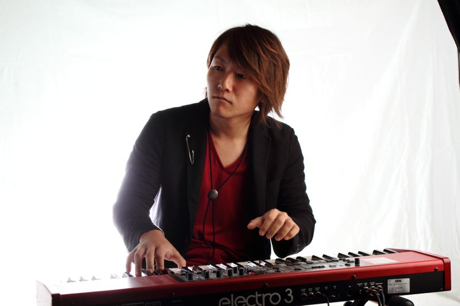 Since then, he's made a huge name for himself through his wide array of musical styles and genres, and has composed songs for such titles as The World Ends With You, DISSIDIA FINAL FANTASY, FINAL FANTASY Type-0 and KINGDOM HEARTS 3D [DREAM DROP DISTANCE]. He also formed a band together with Sawa Koto back in 2008 named "SAWA," after her, and is both the composer and guitarist for the group under the name "HIZMI". His love for The World Ends With You also led to him personally running and updating both the official Facebook page for the series as well as the official TWEWY -crossover- original soundtrack site. Check out his blog and follow him on Twitter or Facebook! The first guitarist of The Death March, YUI contacted Ishimoto early on after hearing news of the 5th anniversary live concert, exclaiming that she really wanted to perform in it! She is the guitarist and backup vocalist of the popular all girls metal band "Cyntia". Together with her fellow bandmates SAKI as the main vocalist, KANOKO on drums, percussion and backup vocals and AYANO on the keyboards, piano and backup vocals, the group debuted in 2011 and has since released one single and album entitled "Run to the Future" and "Endless World" respectively. YUI's favorite artists include Gary Moore, Ozzy Osbourne, Randy Rhoads, Zakk Wylde, Michael Schenker, Dream Theate, Earthshaker and 44Magnum. To learn more, visit Cyntia's official website! Joining the group as the bassist is none other than T$UYO$HI! He previously worked with Ishimoto during the recording session for the Final Fantasy Type-0 soundtrack, and the composer is very excited to have the opportunity to work with him again! T$UYO$HI is the bassist of the band "Pay money To my Pain" (P.T.P), which formed under the lead of their lead vocalist K in 2005, along with Pablo on guitar and Zax on drums. Altogether, the band has released 3 albums, 1 greatest hit, 3 extended plays, 2 digital singles and 4 compilations. Visit his blog or PTP's website to learn more! 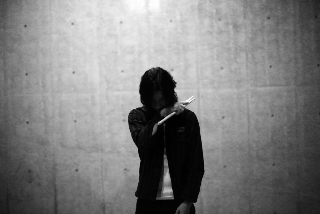 Likewise with T$UYO$HI, drummer Zax also worked with Takeharu Ishimoto during Final Fantasy Type-0's recording and plays drums in the band "Pay money To my Pain". Ishimoto describes him as a very fun person, although this photo instead accentuates his cool qualities only! He feels very blessed that Zax will be performing alongside with him. The next installment to the group is Hironori Fukino, of keyboarding fame, nicknamed "Fukki" and "Kuwagata", the later of which means "beetle." Ishimoto jokingly despairs about having to decide what name they should use at the live concert, when in fact it's already been all planned out and Fukino has already been informed! He's a magician, and his spellbook is the keyboard, the piano. Check out his blog to see what's new! What concert would be complete without the brass? 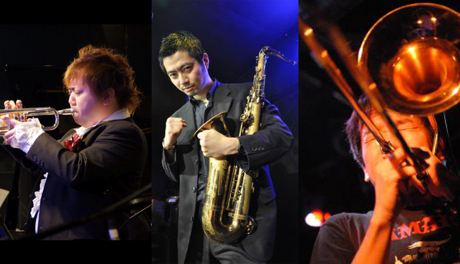 When you figure that out, let's introduce three more members of The Death March: Hiroyuki Motohashi on trumpet, Kensuke Hirako on Saxophone and Yuki Koba on trombone! Hiroyuki Motohashi is a very accomplished trumpet player, having performed at countless events and venues. Kensuke Hirako is a saxophone and recorder player, composer and arranger, starting out on the saxophone at the age of 20. Before pursuing a career in music, he dabbled in business and computer science. Now he plays effortlessly in his own band and teaches lessons on the side. 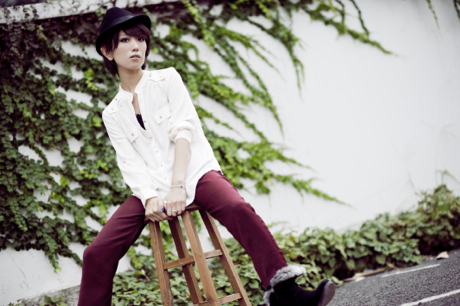 Yuki Koba is a member of a group that call themselves "The Ammonites". At first glance, you'd think there's something rather odd, but don't let appearances fool you! Music transcends all boundaries. Of course, where would we be without Stephanie on vocals? She's made a splash within the KINGDOM HEARTS community with her contributions to "TWISTER -KINGDOM MIX-" and "SOMEDAY -KINGDOM MIX-", following up with THE WORLD ENDS WITH YOU -Solo Remix-'s new ending theme "Runaway". Stephanie is a singer, DJ and actress from California. When she was 13, she sent demo tapes to many Japanese music production companies and a year after she received a response, she moved to Tokyo to pursue her dreams. Check out what she's been up to on her official website! Wrapping up The Death March is none other than Sawa Kato on vocals, more commonly known as SAWA! 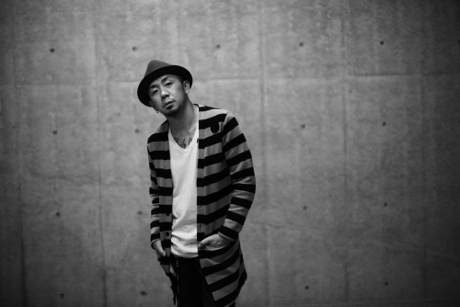 Ishimoto is very excited for fans to see Twister's original vocalist in action at the concert! SAWA is a singer and composer. She met Ishimoto through the original The World Ends With You, where she recieved the opportunity to write a total of 17 lyrics and sing 3 songs for the soundtrack. The two formed the band SAWA in 2008, of which she is the lead vocalist and composer. Her writing process can be summarized with one keyword: "imagery." She explains that our lives are filled with all sorts of incredible sounds, stories, colors and ideas, but because of the fast-paced exciting lives we live, they can easily disintegrate and be forgotten. What she does is she combines the fragments that remain and piece them together to create a brand new sound! Talk about inspirational! Please ignore the funky spacing. ERMAHGAWD Musical awesomeness! And while some like SAWA and Stephanie, remained predictable (nonetheless great), I absolutely did not expect Yui! I really hope that it's going to be recorded.